The 2013 National Storytelling Festival came around just as I entered my season of contemplation for this work I’ve been given. 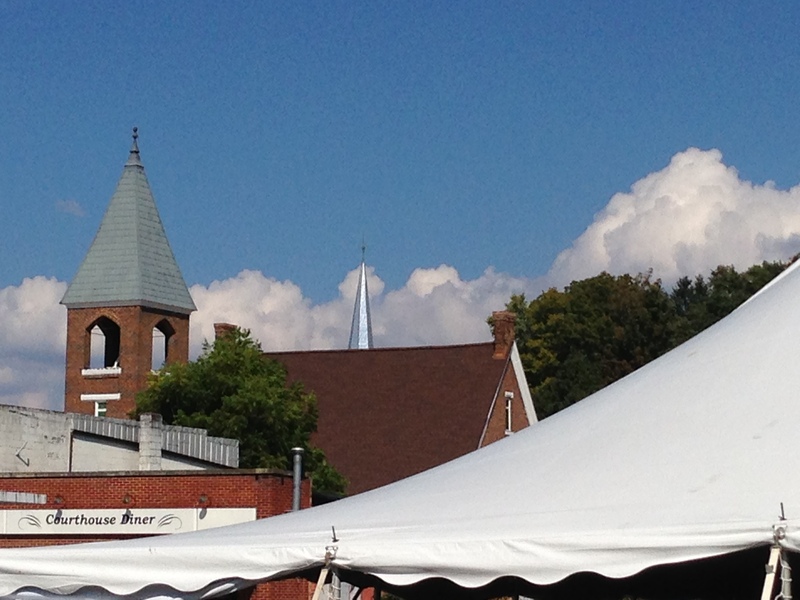 The Festiv al is an inspiring time in our little town as tents go up, thousands come, and stories are told. It is a time of presence between teller and listener. My unfolding confidence swirls in the commerce of story. Yes, building a story with you is my love applied. Coach Judy posed a question to me just before my work at the Festival began: “How do you balance your Trueness?” I knew, as usual, it was a great question from my skilled coach. Only I did not have an answer. Intuitively I know when I balance my Trueness; it is when I’m present with an individual, or individuals, trusting for what is needed in the interaction of the moment. “Privilege” is a word I use often−mostly as I refer to individual spirits I’m privileged to know. My wife and I are indeed privileged to know Ed Stivender as a friend. Other than our moms and our daughter, I know of no other who has our names on their prayer list! If you know Ed at any personal level, you have then experienced his courteous and skillfully generous presence. During the 2013 Festival Ed was interviewed on his process of building a story. In the interview Ed told a story of breaking his own Cardinal Rule for being with an audience of listeners. He told of how he broke this rule of “Give them a break from the world.” For Ed, stories are the dance floor and telling is the dance between he and his listeners; a present expression of Ed’s unique brand of love. In his story of the broken rule, he allowed the current events of the world to invade the Story Space−the dance floor was compromised. Consequently, no one wanted to dance. Because of Ed’s courageous telling of this specific story, a moment of awareness opened wide for me. Instantly I knew I was in the presence of Ed’s story for a providential reason. Thanks to Ed’s story I now consciously know my Rule of Presence−my own cardinal rule. What is your cardinal rule; the rule you must consciously keep for all to be as it ought? Your full presence to your purpose is your impact in this world! This entry was posted in Giving, Presence and tagged Presence, Story, Storytelling, Trueness by Jeff Brunson. Bookmark the permalink. What a wonderfully thoughtful post. I am going to have to really ponder your last question. It is something I need to know. Thank you!